Go Go’ers, consider this an early intervention for your Labor Day weekend. You’ve planned out your non-Labor days: sailing, surfing, sunning, sipping adult beverages, and chatting up celebs and/or especially attractive wannabes. Do you really want to waste that carefully cultivated glow on a backyard BBQ with shriveled weenies and some pickle relish potato salad? 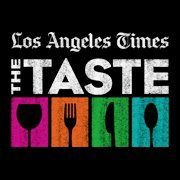 Ms. Go Go doesn’t even need to hear your answer; for the libation-istas among us — you know who you are — the evening destination for Saturday, September 1st and Sunday, September 2nd is the Los Angeles Times the Taste at Paramount Studios. Hint: you’ll want to book both nights. Hosted by Times Food & Night Life Writer Jessica Gelt and Julian Cox, one of L.A.’s top mixologists — you know his tongue pleasers from Playa and Rivera — Saturday night’s Cocktail Confidential is a tribute to all things shaken and stirred. Expect mixology throwdowns judged by Gelt, Cox, and Pulitzer-Prize-winning food writer Jonathan Gold, elite elixirs, and cocktail-worthy nibbles from resto faves like The Roger Room, Rivera, Ammo, Public School 612 and Ray’s & Starck Bar. But Go Go’ers, there’s late-breaking news. Alex Day, one of America’s top drawer cocktailians and co-founder of L.A. drinks consultancy Proprietors LLC, will lead a cocktail making demo at Cocktail Confidential. Day helped create Chapter & Verse, the Proprietors’ test kitchen and lab, and open Bar & Kitchen at the O Hotel in downtown Los Angeles. You can bet there won’t be a shriveled hot dog in sight. Notice that the cocktail icon is first…. Go Go’ers, there’s really no good reason to stop drinking after the cocktail hour so you’ll want to clear Sunday night as well for Dinner and Drinks, hosted by Times Deputy Food Editor Betty Hallock and the “Beer Chicks” Christina Perozzi and Hallie Beaune. The Chicks just curated the L.A. Craft Beer Crawl and, in their Times Instagram TasteTakeover, matched brews to three courses of a Thai “hangover cure”: Thom Ka soup, shrimp chips, and sticky rice with banana. Just in case you ever need a hangover cure. 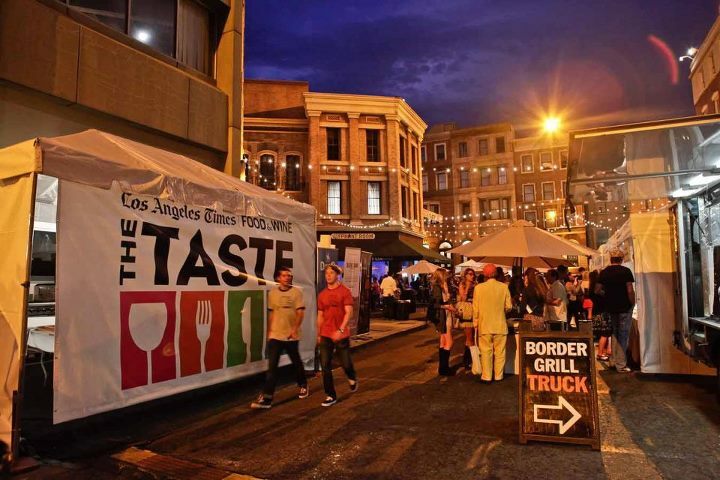 Signature dishes will be paired with artisanal brews, custom cocktails and wine at the Sunday event; drink-and-dine establishments include Rustic Canyon Wine Bar, Whist at Viceroy Hotel, Salt’s Cure, Stella Rossa Pizza Bar and Red O. All this on Paramount Studio’s fabled lot where the glamour never ends. Go Go’ers, it’s going to be a good one. But that’s not all! Fans of the McNuggetini and Ham Daiquiri will be excited to hear that the Cooking Channel’s very own Classy Ladies Alie & Georgia will be demo-ing a cocktail or two. Given their wild concoctions, you might want to stock up on the Thom Ka and shrimp chips before the weekend.